U.Va. 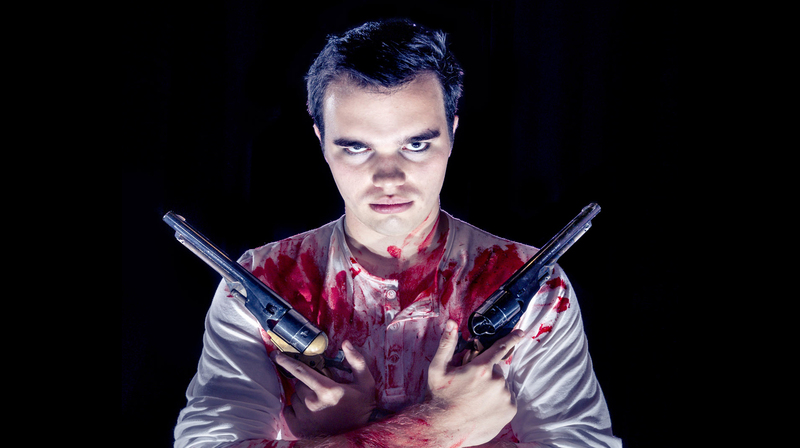 Drama to Open 2015-2016 Season with Raucous Rock Musical BLOODY BLOODY ANDREW JACKSON | Department of Drama, U.Va. CHARLOTTESVILLE, VA – September 18, 2015 – The University of Virginia’s Department of Drama is kicking off its 2015-2016 season with a rocking look at a legendary American political figure as he has never been seen or heard before. Bloody Bloody Andrew Jackson is a fast-moving, satirical musical that careens between fact and fiction to present America’s seventh President as history’s ultimate rock star. Powered by an infectious emo rock score delivered by a live on-stage band, the show takes audiences on a rock musical thrill ride that chronicles Old Hickory’s legendary life and times, from his humble beginnings to his time as ruthless military strategist, populist agitator, and Commander-in-Chief – all while unveiling the simultaneous allure and danger of American populism in a way that feels ripped from today’s political headlines. Bloody Bloody Andrew Jackson, with a book by Alex Timbers and music and lyrics by Michael Friedman, will be directed by Department of Drama Lecturer David Dalton and presented at the Culbreth Theatre October 1-3 and October 7-10 at 8pm. It is recommended for mature audiences. Tickets are $16.00 for adults, 14.00 for seniors, U.Va. faculty, staff and U.Va. Alumni Association members, and 10.00 for students. They are currently available online at www.artsboxoffice.virginia.edu, by calling 434-924-3376 or in-person from noon until 5:00 p.m. Monday through Friday at the U.Va. Arts Box Office, located in the lobby of the Drama building. Full-time U.Va. students may receive one free ticket if reserved at least 24 hours in advance of their desired show date. Free parking for all U.Va. Drama performances is available at the Culbreth Road Parking Garage, conveniently located alongside the theaters.